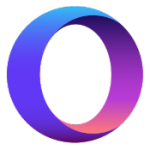 Opera Software has released Opera 60.0, a major new version of its web browser dubbed Reborn 3. The '3' is a partial reference to the browser’s support for Web3, the so-called decentralized "block-chain based internet of the future". The new browser’s support for Web3 comes with a new Crypto Wallet to facilitate secure online identification and transactions. 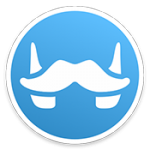 The browser’s free VPN service has also been overhauled along with a design refresh. The battle to encrypt data securely rages on, with developments in quantum computing mirrored by hackers’ ever more creative attempts to break encryption. Ironically, one form of encryption resistant to all forms of hacking -- One Time Pad (OTP) -- dates from the 19th century. Symmetric OTP works by generating encryption from a key file -- the larger the better -- which renders all attempts to decrypt the data useless without access to said key file. And FinalCrypt, available for Windows, Mac and Linux -- indeed any Java-capable computer can run the tool, brings the technology to any computer user. 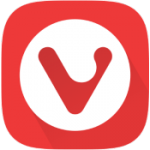 Opera R3 may be on the horizon, but the company’s ex-founder Jon von Tetzchner continues to reinvent the web browser for real with Vivaldi 2.4 for Windows, Mac and Linux. Version 2.4’s main highlight is widened customization support for its toolbars in the form of being able to drag and drop selected buttons between Address and Status bars. Version 2.4 also introduces multi-user profile support to the GUI, improves its bookmark management tools and adds a calculator to the Quick Command tool. Mozilla has rolled out Firefox 66.0 for Windows, macOS and Linux, along with Firefox for Android 66.0. Corel has unveiled CorelDRAW Graphics Suite 2019 as part of its 30th-anniversary celebrations for Windows and -- for the first time -- Mac. 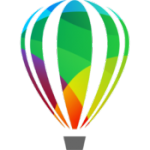 The brand-new Mac release is fully native, and includes all components found in the Windows version, including CorelDRAW and Corel PHOTO-PAINT. Also new in the 2019 release is a brand-new Objects Docker for controlling document structure, non-destructive effects, and a new web app (CorelDRAW.app) for accessing and editing cloud-hosted Corel documents through other devices. Are you plagued by pop-ups, susceptible to online scams or just frustrated by ad-riddled web pages that take forever to load? If so, then Malwarebytes may have the browser extension for you. 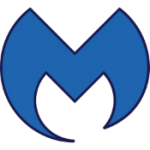 Malwarebytes Browser Extension for Chrome 1.0.40 and Malwarebytes Browser Extension for Firefox 1.0.38 both promise to be the first browser add-ons to identify and block yet-to-be-identified fake scams and tactics, plus provide protection against popups, browser lockers and hijackers too. 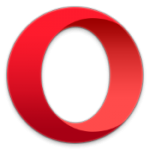 Opera Software has unveiled no fewer than 24 improvements since launching its mobile browser for Android and iOS. The latest build, Opera Touch 1.5.0 delivers a much-needed setting for automatically handling website cookie dialogs. Everyone seems to use a different way to communicate. Although most business users have switched to Slack, there are others who rely on Skype, WhatsApp and Messenger to send an important message. Everyone has their favourite chat client. It's hard to keep on top the messages and there's still some business contacts who insist on using LinkedIn to ask you an important question and, unless you login using your browser, it’s very easy to overlook an urgent message. It’s almost impossible to do anything these days without leaving a tell-tale digital trail behind you, particularly when accessing internet-related services. Given many apps now spend a significant amount of time connected to the internet, you can’t rely on just locking down your web browser either. 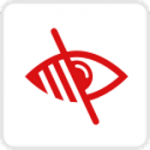 This where Avira Privacy Pal 1.8.0 for Windows PCs comes in. It promises to become your privacy-focused personal assistant, offering quick and simple fixes for over 200 privacy issues. Mozilla has just released Firefox 65.0 for Windows, Mac and Linux, along with Firefox for Android 65.0. The major highlight of this new release are improved tracking protection controls, improved multilingual support and the ability for macOS users to transfer tabs to their iOS devices via HandOff. Android users should see that scrolling performance is improved. Firefox 65 rolls out a redesigned set of controls for its Content Blocking feature. Users can access these via the 'i' icon on the Address Bar, or by visiting the Privacy & Security section of Firefox’s settings dialog. Anyone who’s got a load of digital media lying about needs a media server, and while the obvious solution is to install Kodi or Plex, you might be missing a trick. Although it’s still overshadowed by its better-known rivals, Emby Server 4.0 has just been released for Windows, Mac and Linux, plus is now available for Nvidia Shield and Android devices too. AgileBits has released 1Password 7.3 for Windows clients. 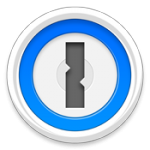 1Password offers secure form-filling and password management tools and is also available on Mac, iOS and Android. 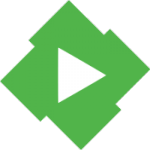 If you’re looking for an open, trustworthy and decentralized alternative to cloud sync platforms, then Syncthing is the tool for you. 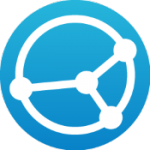 And today is a milestone -- after five long years in beta, Syncthing 1.0.0 (32-bit) and Syncthing 1.0.0 (64-bit) has been released for Windows, Mac, Linux and Android. The new release has been given a new code name: Erbium Earthworm, continuing the tradition of alphabetic code names (the previous release was Dysprosium Dragonfly). It’s also been dubbed "Graduation Day" by lead developer Jakob Borg. 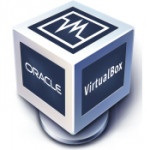 Oracle has released VirtualBox 6.0, a major new release of its free virtualization tool for Windows, Mac and Linux. Version 6.0 unveils major improvements to -- and a redesign of -- the user interface, plus beefs up 3D support (including first-time support on Linux and Solaris guests). Hyper-V emulation is now also supported on Windows as a fall-back execution core helping fix problems running 64-bit guests when Windows Security’s sandboxing feature was enabled. With the news that Microsoft Edge will be ditching its own browser engine in favor of Google’s Chromium, those wishing to strike a blow against monopolization the net should be looking at Mozilla’s Firefox, which continues to develop its own independent Gecko engine. 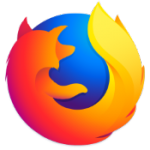 Firefox Quantum 64.0 has just been released for desktop, along with Firefox for Android 64.0. Mozilla has made its own pitch for why the news about Edge could be bad for the wider net, but in the meantime Firefox 64.0 delivers a smattering of new features, and various other changes.